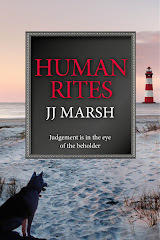 JJ Marsh is the next willing victim in our series to delve into the darkest past of successful authors, to see exactly where their storytelling gifts first developed. Jill is the author of the brilliant Beatrice Stubbs series: Behind Closed Doors, Raw Material, Tread Softly, Cold Pressed and the forthcoming Human Rites (due out this November), which has a global fan base. Not to mention a reputation for quality writing and professional standards, topics she advocates across the independent publishing world. But she wasn't always as polished and perfect. Where did her first attempts at the art of novel writing take her, and will any of these budding masterpieces ever see daylight again? "Three full novels sit in my bottom drawer. Two (Close) has something. Not what I thought it had, but an idea lurks beneath the first wobbling steps of I-got-adverbs-and-know-how-to-use-’em. Sadly, the end result was little more than flexing of new writing muscles. Much like learning to ride my motorbike, Close was a necessary and bruising phase, best kept off the streets. I itch to apply all I’ve learned about writing to this book, but my gut feeling says that in order to do this story justice, I first need to learn more about myself." He is widely published and is much in demand for his lively performances and writing workshops. 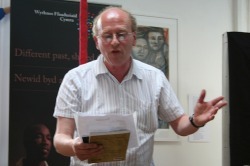 He has performed at the Hay Festival and the Aldeburgh Poetry Festival and has read and tutored at Ty Newydd, the National Writers' Centre for Wales. Mike frequently appears on radio and television and is known among Cardiff City football fans as the club's 'unofficial poet'. Here JW Hicks catches up with him for a chat. Which comes easier - writing poetry or novels? All my energy, in terms of prose-writing has been channelled into the blog rather than fiction, though I have created a fictional character called Dr. Wayne-O Pijin ( a local pigeon) who attempted to stand in the General Election for the Coo-coo-operative Party. Which excites you more, writing in solitude... or reading to an audience? Both are enthralling. I love being totally lost in language and also the idea of entertaining and communicating. I do find it hard to read prose to an audience though and much prefer poetry. I relish trying to find the right poems for particular audiences and also to take them on small journeys. My latest book of poetry (for adults) ‘Shedding Paper Skin’ (Carreg Gwalch) lends itself to that : there’s a longer poems ‘Journey of the Taf’ describing a river’s course from watershed to sea and then, in the opposite direction, a train journey up the valley where I live to Merthyr, my home. I really enjoyed The Climbing Tree (review below). The Commos, Low, Arm and Dog are such well defined characters, I wondered how you they came to you? The characters aren’t based on anyone in particular. As an ex-teacher I like to draw upon so many characteristics of the young people I’ve taught and got to know well. I was never a reserved teacher and always believed in relating to them on their level. 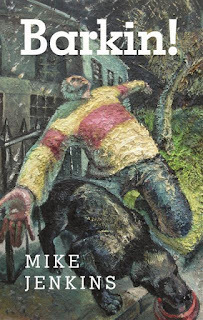 Initially, I wrote ‘The Climbing Tree’ (Pont) as a play called ‘Waste’, but nobody wanted to put it on so I converted it into a story and, with the help of the then editor at Pont Books Viv Sayer, set about changing the beginning and ending to make it less bleak. The Climbing Tree is written for teenagers, are they your favourite audience? I do prefer writing fiction for teenagers, though I’m not sure why. It’s probably because I’ve worked with them for so long and identify with their problems and their enthusiasms. The things which excite many teenagers, like music and football, are still my enduring passions. I’m hopelessly idealistic as well, which possibly makes me more of an adolescent than the cynical grown up I ought to be. What interests you in futuristic fiction, the story, or the message? ‘The Climbing Tree’ is my first foray into the future. As a teenager I really liked ‘A Clockwork Orange’ by Burgess and dystopian novels such as ‘Brave New World’ and ‘1984’. I wanted to create an alternative world and something of Burgess’s teen language. I wanted to create a credible world on a local scale, but threatened by flooding which was ubiquitous. The message wasn’t paramount. The character of Low and her relationship with the others was more vital. I always draw inspiration from settings: there is an oak on the Waun at the back of my house where children used to climb and there was a rope swing. Where do you write, and what are you working on at present? Mostly, I write in long hand on the sofa and then redraft on the pc upstairs. I do have ideas for children’s and young adult books but don’t know whether they’ll bear fruit. I’m too busy blogging on music, politics, football, television and ambitious pigeons! I occasionally burn haiku onto wooden plaques ( called ‘meicu’) and sell them. I enjoyed the adventure stories of Arthur Ransome like ‘Swallows and Amazons’, the historical novels of writers like Henry Treece and especially the works of Jack London such as ‘White Fang’ and ‘Call of the Wild’. In terms of poetry, I recall Robert Louis Stevenson as being my favourite. Currently, I’m reading ‘Far Rockaway’ a book of poetry in Welsh (with English translations) by Iwan Llwyd and an excellent novel by Rhidian Brook called ‘The Aftermath’ about Germany after the 2nd World War, which would make perfect reading for young adults ( and help them with their GCSE History!). I can’t imagine not writing. It’s so much part of my life that I even get concerned if I go a couple of weeks without completing a poem. I love the ‘other world’ which fiction enables you to create and it’s fascinating being carried along by something and not knowing where exactly you’ll end up. Poetry has this utter intensity which is timeless. My friend, a Zen Buddhist, would compare it to enlightenment. How much does being Welsh and living in Wales inspire your writing? Being Welsh is critical and has become more so as I’ve become more accomplished in speaking and writing the language. There are traits in Welsh writing which are unique and which I closely identify with : the passion for community and place, the way in which politics is very much part of literature, the triumph of emotion over cleverness and irony and the way our literature is integral to society ( we crown our bards, after all). My latest novel for young adults is ‘Question Island’ (Alun Books) and all these things come into play. It is set on the mountainside above Merthyr and a school very much like Cyfarthfa used to be, housed in a ‘castle’. It shows how a family are affected by the Recession, but also focuses on the relationship between the main character Andrew and his father, family and teacher. But there is always something else in my novels, something magical. In ‘The Climbing Tree’ there is the mysterious character of Oz and in ‘Question Island’ there’s the island itself, real for Andrew, but does it exist? This quirky book, inspired by a particular area of Welsh landscape and the youngsters that play there, is futuristic in style and content. It offers readers a glimpse of a future that is perilously close, and poses the scary premise that tomorrow’s woes originate in the way we live today. 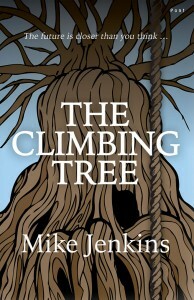 The Climbing Tree, a short sixty page novella that packs a mighty punch, deals with teens attempting to survive in a shrinking world – a world where rain falls non-stop, jobs are almost non-existent, vicious teen-gangs abound... and the water level keeps on rising. The Commos, Low, Arm and Dog, distraught at losing their leader, Oz, spend their days away from disinterested parents and unwelcoming homes in an oak tree on the Common. Living free in The Climbing Tree, away for constant observation and TV walls, is not a bowl of sweet delights. Menaced by the Astros, threatened by refugee Travellers, and made uneasy by mysterious white suited figures searching the Common with strange, bleeping machines, the Commos must learn to stick together, and realise that only in solidarity will they find the strength to carry on. This novel delivers its environmental message with subtlety. It remains in the background, never overpowering the story, yet adding strength to a narrative unafraid of portraying the darker elements of teenage life in perilous times. You’ll enjoy this if you like: Burgess’ Clockwork Orange. Avoid if you don’t like: The affects of societal change and the challenges faced by young people. Ideal accompaniments: Cocoa, buns and a warm fleecy wrap. Bilingual/bicultural from the U.S.-Mexico border, Alma has been a translator and proofreader for the past 15 years. 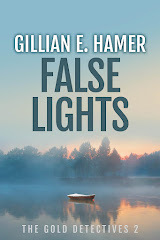 She is a member of The American Translator's Association, the ITI, The Society for Editors & Proofreaders, the IAPTI, and The American Literary Translators Association. She holds a Master of Arts in Translation with an editing focus is from Durham University in England and a Master of Arts in Advertising from The University of Texas at Austin. Her professional experience includes working in English and/or Spanish for clients in a variety of industries in the U.S, the U.K., Canada, Australia, and Mexico. Alma did an excellent job of translating Triskele author JJ Marsh's collection of short stories, Appearances Greeting a Point of View. JJ found Alma via the translation site Babelcube and was delighted with the result. Here, Alma talks about the skill of translation. What do you consider the essential qualifications for a translator? 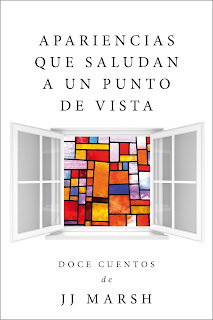 Ideally, growing up bilingual and bicultural to have both languages embedded into psyche, which facilitates making semantics and syntax “decisions” when translating a text. Having a degree in the subject and professional experience translating a broad range of topics. Every text to be translated entails researching terminology, usage, content, and lexicon in itself. The vast majority of texts will include references to several other subjects, so being familiar with sources is a must. It helps to be inquisitive and know a bit about anything and everything. I would add that being affiliated to industry associations is a plus to be “in the know” about translation and linguistics. Such affiliations are also beneficial in that they are reassuring to current and potential clients. What practical issues might authors overlook when working with a translator? The best collaborations are those where the author/client is available for any doubts that may arise throughout the translation process (this rarely ever happens, but just in case). Do you refuse work you think is not suited to you? I do enjoy translating texts from certain fields more than others, but will accept all texts that come my way. I see it as a chance to learn something new, and who knows? I may come across a new favourite subject matter. What defines the ideal author/translator relationship? Aside from response to question #2 above, I would say that to a translator, it is an honour to be able to convey the author’s text in another language. An ideal relationship is one where the author understands that his/her work is very important to the translator, who makes it his/hers throughout the translation process. Can you give an example of where a translator's skill enhances the author's intent? 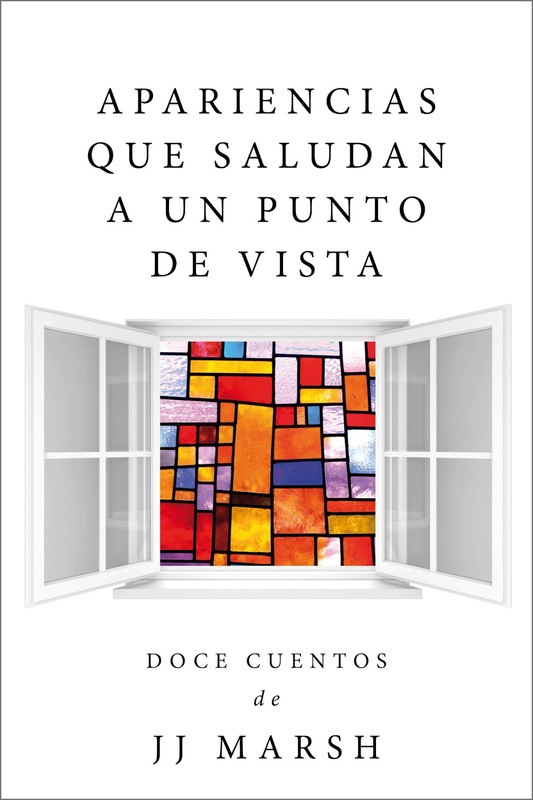 I would prefer not to exemplify, but can explain as follows: I would say that it is when the translator has several alternatives to choose from to convey a thought in the target language, and opts for the one that is most familiar to the reader. To translate is to ensure that a text doesn’t sound foreign to the reader. What about examples of failures where words and meaning clashed? There are plenty of examples like that in translated texts in journalism, social media, in books even. I think it has to do with overlooking mistakes from being in a hurry and from tight deadlines. Why do you work with Babelcube? I like that there are so many different genres to choose from and that it is a platform where all parties involved are approachable. I used to have a blog about introspection and reflections about every day life that had somewhat of a following, but came to a halt to focus on translating, editing, and proofreading. 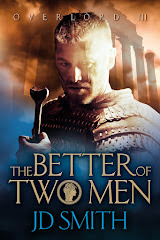 Liza Perrat is a successful historical fiction author. 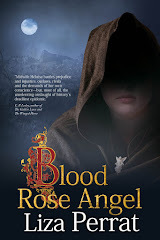 Her first two novels, Spirit of Lost Angels and Wolfsangel, have won prizes and helped build a worldwide fan base who applaud the quality of Liza's writing and wait in anticipation for each new release. And yet, like all writers, she has her writing secrets. In the fourth installment into our mission to uncover the hidden treasures and utter disasters nestling hidden on computer hard drives, we ask Liza where her passion for story-telling first began, and order her to come clean about those first scribbles she would much rather forget. "I’d completed the Creative Writing course. I’d written a string of articles, several published in international magazines. 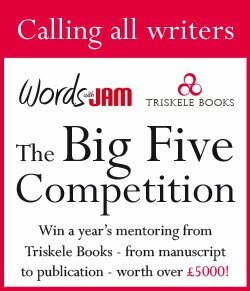 I’d written enough short stories for a collection, many of which won competition prizes and featured in anthologies. Right, I said to myself, I must be ready to tackle The Novel. A year and 100,000 words later, Wolf with a Red Rose emerged. It seemed to have everything: dashing, bad-guy hero, sorrowful heroine, suspenseful plot-line, murder and mayhem, and a gorgeous French countryside setting, including lashings of wine and food. Blissfully unaware of the clichés, the stilted dialogue, the semi-autobiographical element, I eagerly posted it to over a hundred agents and publishers. Five requested the whole manuscript. Four of those rejected it; the fifth turned out to be a vanity publisher. I’d already spent two frustrating years rewriting Hosing Venetian Blinds, but just couldn’t get it right. I knew that (besides the plot) there was something dreadfully wrong with it, but still I couldn’t put my finger on it. Then, for reasons unknown to me, I fell into writing historical fiction. I was no reader or fan of this genre, but suddenly found myself writing a novel set in 18th century France. And voilà, I discovered that in writing about the past, I'd stumbled upon my all-elusive “voice”; something I then knew was clearly missing from those first two novels. Am I more comfortable writing about times gone by, rather than in modern-day settings? Were those first two novels simply part of the all-important learning arc of novel-writing? Probably a bit of both. I might have found my “voice” in historical fiction, though it’s still a rough, untamed voice. I’ll soon publish my 3rd novel, but I’m still learning from each new book, striving to make it better than the last. And every so often I open my bottom drawer and glance at Wolf with a Red Rose and Hosing Venetian Blinds. I smile affectionately to myself, try not to cringe, and shut the drawer."